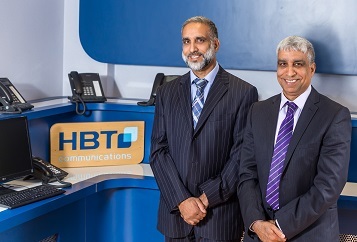 HBT Communications was established in 1988 by brothers Zamurad and Ajmal Hussain. Over the years the company has grown and now employs over 30 members of staff, including more members of the family, all working together with one goal in mind; to use our knowledge and expertise to design, implement and support tailor-made IT and Telecoms solutions for your business. Customers are at the heart of our thinking. HBT Communications offer an independent choice of integrated communications solutions. Our carefully considered portfolio of network partners and technology manufacturers enables us to consistently deliver robust, reliable and flexible solutions our customers can both afford and trust. Based in the Midlands, our combined team of communications consultants and in-house installation specialists service a wide range of businesses across all sectors nationwide. Effective communication systems are a necessity of the modern business environment and it is essential that your investment in technology delivers clear business benefits. Whatever your budget, our experienced communications consultants thoroughly assess your requirements and configure a bespoke solution to perfectly match your needs. How can HBT Communications help my company? We have broad experience in many network technologies; Virtual Private Networks (VPNs), LANs, WANs,VoIP, Unified Messaging, ADSL, ISDN 30, Kilostream, Laser, Microwave and Leased Lines. Working with you, as a partner, we can make your business more effective, dynamic and efficient. Talk to us today about how you can work smarter with HBT.